An integral part of urban renewal, Turner Fleischer’s designs for 144 Park and 155 Caroline are contributing to Up Town Waterloo’s revitalized streetscape. 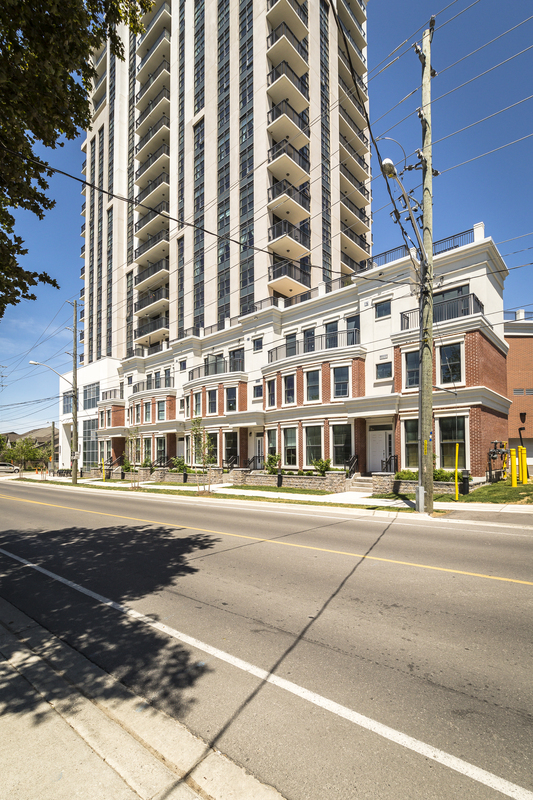 144 Park is a mix of luxury high-rise condominium suites and townhomes. During the planning phase of this development, a geotechnical investigation established that the building site had a high underground water table, affecting the depth of the structure. Turner Fleischer responded with a revised concept for the below ground parking by reducing the number of underground levels. To compensate, the number of floors of the above grade parking facility were increased which allowed for the outdoor amenity area to be located conveniently on the fourth floor. 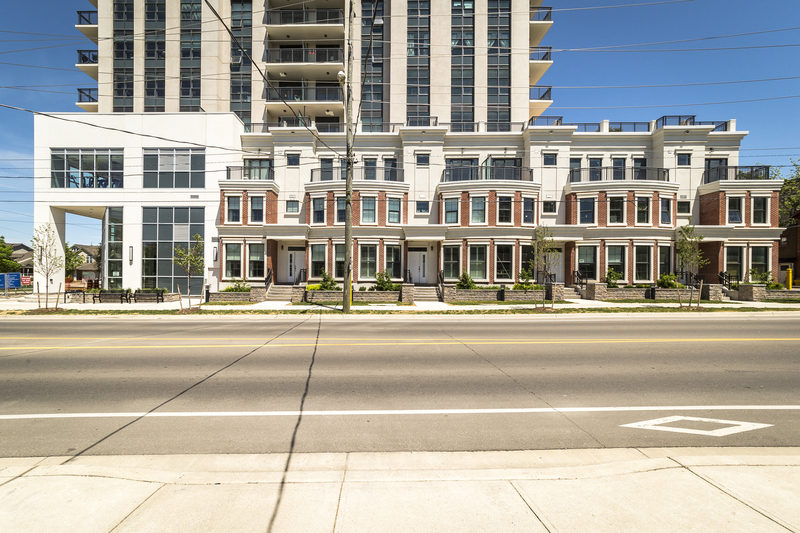 The use of a brownstone palette for the lower floors is an important feature that effectively blends the development into Waterloo’s rejuvenated core. Phase 1, 144 Park is completed and Phase Two, 155 Caroline is under construction.